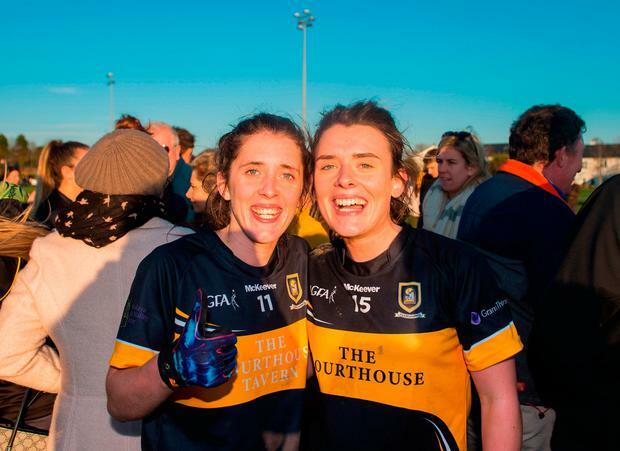 The O'Sullivan sisters starred for Mourneabbey as the Cork and Munster champions marched into a fourth final in five seasons. 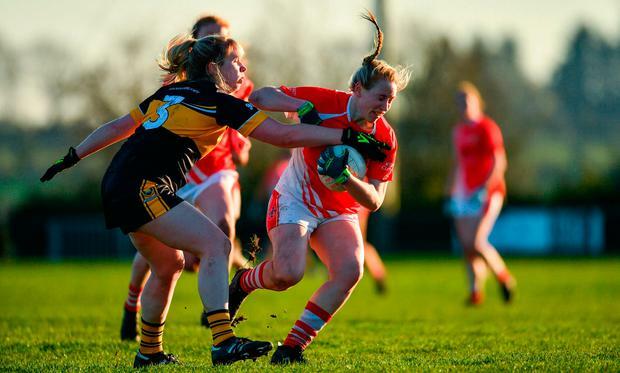 Doireann bagged 0-8 in an outstanding display and county skipper Ciara collected 0-3 as Mourneabbey set up a final meeting with Dublin's Foxrock-Cabinteely on December 8. 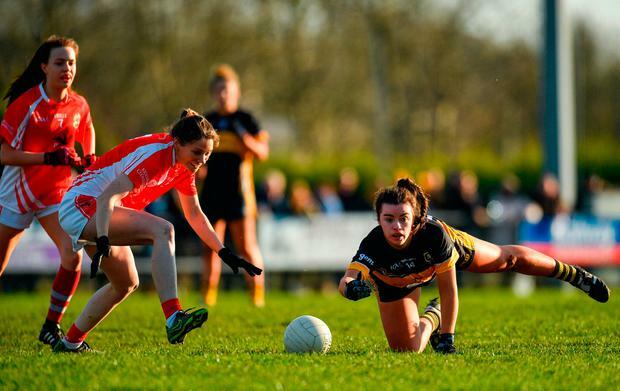 Hosts and Connacht champions Kilkerrin-Clonberne battled gamely at the Clonberne Sports Field, but Mourneabbey had too much experience. Kilkerrin-Clonberne enjoyed much of the opening possession, but trailed by 0-4 to 0-9 at the break. The intensity increased ten-fold after the half-time whistle as both sides traded blows. 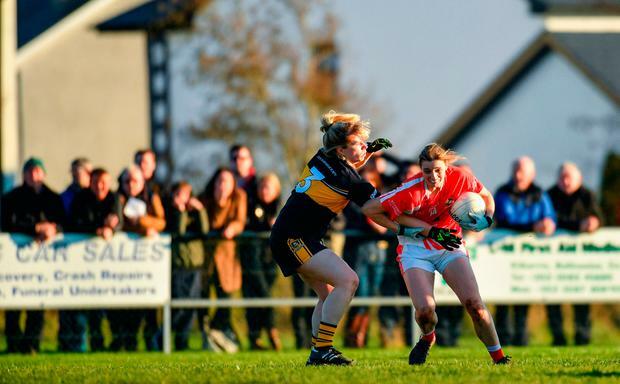 The action was end to end, with Kilkerrin/Clonberne throwing everything they had at Mourneabbey, but the Munster champions were proving hard to contain. Time was running out for the Galway outfit as they struggled to get within touching distance of their opponents. Skipper Louise Ward's attempt at goal from a 21-yard free was saved on the line in the 28th minute. The visitors soaked plenty of pressure in the closing exchanges, but an Eimear Harrington goal in stoppage time ensured their place in another final. Scorers - Mourneabbey: D O'Sullivan 0-8 (1f), E Harrington 1-1, C O'Sullivan 0-3, L Fitzgerald, E Jack 0-1 each. Kilkerrin/Clonberne: A Clarke 0-4, C Dunleavy 0-2, A Morrissey, O Divilly, C Miskell 0-1 each. Mourneabbey - M O'Sullivan; E Meaney, C.A. Stack, A O'Sullivan; S Conroy, R O'Sullivan, K Coakley; M O'Callaghan, B O'Sullivan; E Harrington, C O'Sullivan, N O'Sullivan; E Jack, L Fitzgerald, D O'Sullivan. Subs: S O'Callaghan for N O'Sullivan (38), A Cronin for Fitzgerald (60+4). 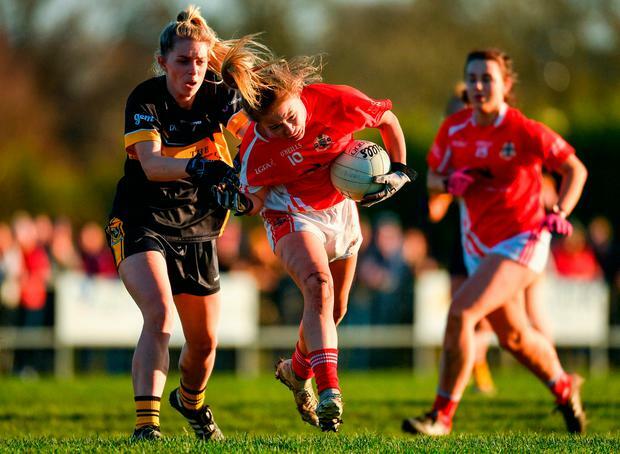 Kilkerrin/Clonberne - L Murphy; A Costello, S Gormally, C Costello; S Fahy, L Gannon, H Noone; S Divilly, C Miskell; L Noone, L Ward, O Divilly; C Dunleavy, A Clarke, A Morrissey. Subs: K Mee for Morrissey (43), E Noone for O Divilly (52).